While Amboseli National Park is not known for its huge clans of Hyenas, we did spot a couple of den sites. The first one was described in post on Egyptian Geese in Amboseli. 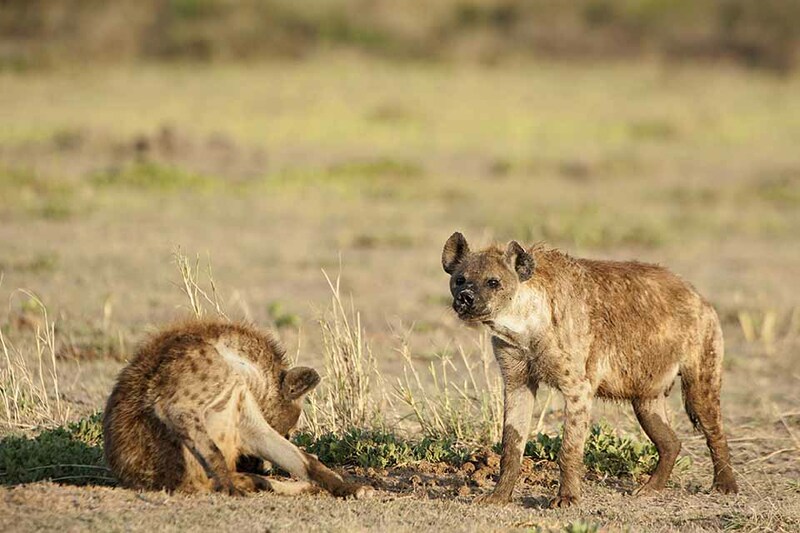 We did run into another small clan of Hyenas haggling over an old carcass. But the rarest sighting was this sighting of this mating ritual of Hyenas. We spotted, in the distance, a Hyena pair in the act and we rushed towards them to get a closer picture.The Hyenas did put up a show for our prying cameras.